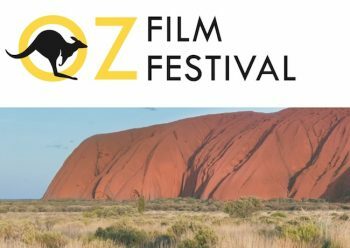 The new Oz Film festival has announced they will open on Friday 30th June-2nd July 2017 for a weekend of Australian films at Regent Street Cinema in London. Opening night film will be the UK premier of Jasper Jones staring Toni Collette and Hugo Weaving, directed by Rachel Perkins (Radiance, 1998) and based on the bestselling novel by the screenwriter, Craig Silvey. 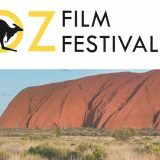 With the resurgence of the Australian film industry over the last 2 years and box office hits such as LION (2016, Garth Davis) and Mad Max: Fury Road (2015, George Miller), the festival team believe the timing couldn’t be better. The festival director, ex-pat Laila Dickson, did meticulous research before deciding to go ahead. ‘We interviewed hundreds of non-Australians around central London. Not one person said they wouldn’t come to the festival which was really encouraging. And, everyone had a very clear idea of what makes Australia unique. There was a lot of warmth and nostalgia in people’s answers’. Festival programmer, Moira McVean has programmed the last two incarnations of the festival, ‘We are proud to draw together a programme with a distinctly Australian take on life. We want people to come along for an Australian weekend mini break in a gorgeous central London location and experience everything that Australia is – the energy, beauty, toughness, drama, eeriness, rebellion, humour and emotional honesty – it’s young and ancient at the same time – and our programme reflects that’. Also confirmed is the rarely screened 30-year-old cult classic, Dogs In Space (1987, Richard Lowenstein), starring Michael Hutchence who passed away 20 years ago in November, and the profoundly moving LGBT documentary Remembering The Man, narrated by the author of the internationally bestselling biography Holding The Man and which the film with the same name (2015, Neil Armfield) was based on. The full festival programme will be announced in the coming weeks and will include an exciting mix of new and significant classic Australian feature films, documentaries, comedies and dramas, as well as films perfect for families, short films and, of course, an edge of your seat horror.